Celebrate your special event at Trafford Restaurant! The upstairs dining room can be reserved for private or semi-private functions. 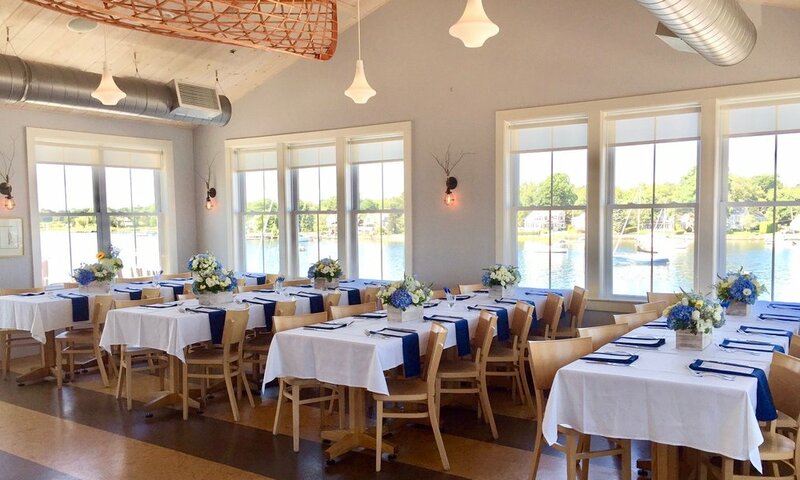 With a capacity of 60 and access to a full bar and restrooms, the space is a popular choice for corporate gatherings, birthdays, anniversaries, baby and bridal showers, weddings, rehearsal dinners, and graduations. Get started. Submit our event inquiry form or call 401.289.2265. Whether you are celebrating a 1st birthday or a 30th anniversary, there is no chance of disappointment in hosting your friends and family at Trafford’s. A bride-to-be loves spending time with special ladies in celebration of her marriage. Use your time to shower her with gifts, wisdom, and fun. We’ll take care of the rest. Relatives and friends of the bride and groom are all in town for the big day. We'll provide a phenomenal dinner in celebration of two families preparing to become one. Trafford Restaurant provides exceptional service for business meetings, presentations, luncheons, and parties both large and small. What better way to welcome a new member into your family than to enjoy an extraordinary brunch and take in the view from our upstairs dining room? Don’t let graduation day end without a remarkable meal in a beautiful setting, while you and your family bask in what the future holds for your graduate. Want some inspiration? See past event setups for ideas.